Home Featured India is at an inflection point for cycle-sharing startups! Till a couple of decades ago, a bicycle was the official mode of transport for a majority of Indians. During the 1980s, the humble bicycle visibly dominated the roadways across many cities. While I didn’t grow up in India, nearly all friends of my age recall a time as a child when they rented a cycle by the hour for just a few measly rupees. At that time, it was highly unorganized. Most individuals would simply pay a visit to a local cycle shop and rent it, based upon the trust of their family name and a few rupee coins. Fast forward 25 years to the present day. The country’s urban districts are no longer friendly for cycling (or even walking for that matter). The once tree-lined, pleasant roads are now highly choked with combustion engine vehicles of nearly all forms. The cycle doesn’t clearly have its place on the roads. This reflects in the overall numbers that show a paltry 80 cycles per about 1,000 individuals in India. For quick reference, China’s cycle penetration number is over 2x better compared to India, with even stronger growth in recent years. As recently as a few years back, India’s cycle industry actually experienced negative growth! However, cycling in India now appears to be at an inflection point. Could we be at the beginning of an exciting renaissance that brings back the humble cycle to the forefront of the mobility space? Many encouraging data points indicate that this could very well be possible. 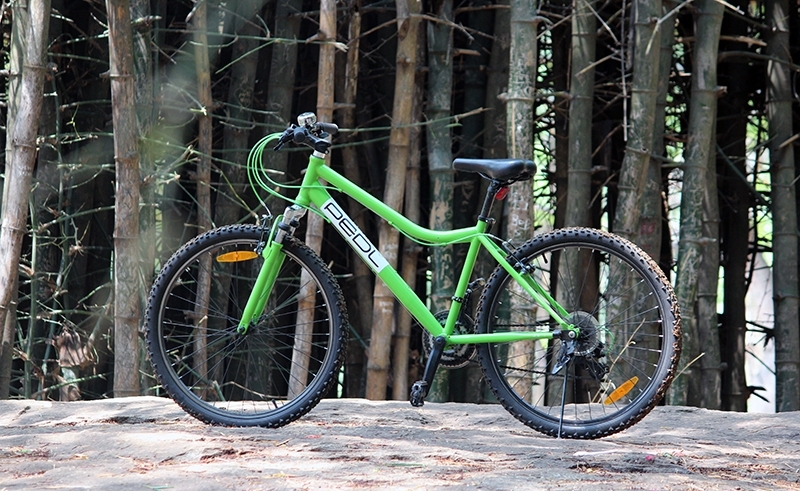 For starters, the popularity of recreational cycling is now at an all-time high in India. Cycling groups are proliferating on a seemingly daily basis across most urban centres. Head to the fringes of nearly any major Indian metro on an early weekend morning and you will see health-conscious Indians peddling away on the usually scorched pavements. This emerging societal trend is in part responsible for the resurgence in sales across the Indian cycling OEMs (Hero, TI, Atlas are all selling cycles at an all-time high in most recent times). Despite seeing annual cycle sales touching close to 20 million units, one phenomenon that is yet to take off across India is cycle sharing. Compared to cities in the US, Europe, or China, India is nowhere as it relates to this burgeoning global phenomenon. In China, for example, many cities have one shared cycle for every 15 individuals. To put that in perspective, that would mean nearly 2 million cycles in Delhi NCR! Suffice to say, Indian metros are nowhere even close to that level today. In fact, at present, Indian cities don’t have a single tech-enabled cycle sharing service. All told, India has only a few haphazardly organized public cycle sharing programs across select Tier 1 and Tier 2 metros. In most instances, the numbers are in the hundreds and certainly not the lakhs. Without a doubt, there’s a long way to go to reach the masses with cycle sharing. As a country, India can certainly look out to China for inspiration where cycling 2.0 has taken off like wildfire. A new form of IoT tech-enabled, dockless cycle sharing has exploded across the country in the last 24 months with over 20 million cycles now on road. The virtues of dockless cycle sharing are clear when compared to the old-school approach of the public sector preferred docking station model (parallels are often drawn to wireless vs landline internet connections). Dockless cycling allows for far better last mile connectivity as the cycle doesn’t require a cumbersome, expensive docking station unit to permanently park the cycle. 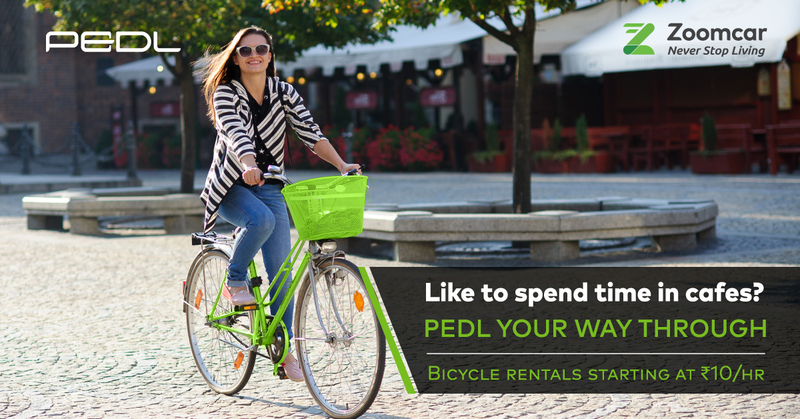 Moreover, dockless shared cycles allow for seamless payment (typically through a digital wallet) and much better tracking. This is critical since it helps discourage theft and also allows for remote maintenance monitoring. This is essential given the inconsistency of road infrastructure across Indian cities. While dedicated cycle lanes are finally starting to emerge in select areas, they are still few and far between so this is where dockless cycles have a major advantage. Overall, the combination of societal sentiment and innovative new technology means that the timing has never been better for a cycle revolution in India. Cycle on!